The Board of Gunnison County Commissioners sent their comment letter to the Bureau of Land Management Uncompahgre Field Office on Tuesday, November 1 regarding the BLM’s draft Resource Management Plan (RMP) for sections of land in and near the North Fork Valley. The planning area consists of about 675,800 acres of BLM-administered public lands and 971,220 acres of underground mineral rights in Delta, Gunnison, Mesa, Montrose, Ouray, and San Miguel counties in southwestern Colorado. An RMP details the current state of resources and guides management actions for the next 20 or so years. While the letter to the BLM was relatively general in nature, the county made it clear that the county believes it has the authority to implement regulations over oil and gas operations even if the operations are taking place on federal land. The county’s justification is to protect public health, safety and welfare along with wildlife and environmental protection considerations. “We wanted to make [the letter] general enough to have a seat at the table; we did not want to make it explicit or too specific on the alternatives. We think this letter provides balance,” county attorney David Baumgarten said. “I think it’s a good letter; it puts us out there as a body that will pay attention,” commissioner Phil Chamberland added. “It’s kind of interesting because the Uncompahgre Field Office catches the corners of Gunnison. We’ve commented numerous times on the Thompson Divide, that there are places where things should be and shouldn’t be. The parts of this that are in Gunnison County, we are very clear on in our comments,” commissioner Jonathan Houck continued. The Thompson Divide is at issue as to protect the area from oil and gas development. The area covers 221,500 acres of federal land in Pitkin, Gunnison, Garfield, Mesa and Delta counties. In 2003 the Bush Administration issued 81 mineral leases in the Thompson Divide. There are currently 61 active lease holdings in the area covering approximately 105,000 acres. Half of the leases are in roadless areas and do not contain surface stipulations. “Gunnison County is concerned that the word ‘adjacent’—when used to describe local government—suggests that the BLM somehow is separate from—and only neighboring to—private land in Colorado counties, and that local government regulation of uses on BLM lands is impliedly pre-empted. Neither statute nor case law supports this implication,” the county’s comment letter to the BLM reads. Local environmental organization, the High Country Conservation Advocates (HCCA) was hoping for a stronger county position. According to HCCA, the greatest percentage of land open to renewable wind and solar development under any of the RMP alternatives (83 percent) is still smaller than the least percentage of land open to coal mining under any alternative (88 percent of coal-bearing lands). Further, in considering oil and gas development, the plan recommends that 95 percent of the area be available for lease. The affected parts of Gunnison County are directly upstream from the orchards, vineyards and small farms surrounding Paonia, Hotchkiss and the North Fork Valley. HCCA supports the North Fork Alternative, which provides for no oil and gas leasing across 75 percent of the North Fork Valley. 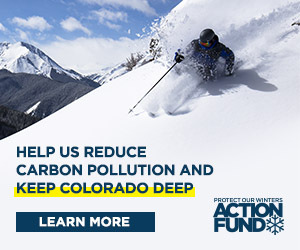 The commissioners were asked by the Crested Butte News how they would respond to the critiques that this plan is fossil fuel-centric—and if they supported the North Fork Alternative. The commissioners provided their thoughts on the significance of No Surface Occupancy stipulations (NSOs), a fluid mineral leasing stipulation that prohibits occupancy or disturbance on all or part of the lease surface in order to protect special values or uses in reply. Lessees may develop the oil and gas or geothermal resources under leases restricted by this stipulation through use of directional drilling from sites outside the NSO area. Commissioners also referred to the balancing among extractive industries and conservation as evidenced in the Thompson Divide debate. “We commented on the use of NSOs as an appropriate tool,” Chamberland answered “One of the concerns that I had was that in several of the RMPs they weren’t going to allow NSO stipulations at the time of leasing, that it’s just going to be done at the time of permitting. I think putting NSOs on the table at the time of leasing is a big step forward because it lets folks know right up front what you can and can’t expect. “The criticisms that conservationists had about doing it at the time of leasing as opposed to the time of permitting was that there is no guarantee that they’re going to do it. That’s the biggest take that I had. Removing 75 percent of that territory from extraction is unrealistic,” Chamberland continued. “Because there are only certain places you have that resource. So you’ve got to come up with that balance… NSO is part of the balancing act,” board chairperson Paula Swenson interjected. “I think you can really look at comments, letters and maps for the Thompson Divide legislation, which Senator Bennet was working very diligently on over the last couple years. He met with every single county in that area… went through all the areas where development would be appropriate, where development wasn’t appropriate and where NSOs were appropriate,” Swenson added. “I will say that any time you get Delta, Gunnison, Garfield and Pitkin Counties working together on common ground writing comments—that’s where a lot of the issues on this corner of the [Uncompahgre Field Office] came together—it showed that there was good push toward common sense protection of resources, like water for agriculture and things of that nature, were definitely well represented,” Houck said. “Get those comments on the record,” Swenson said. The motion to approve the comments passed unanimously. The BOCC’s comments are available on the county website, and HCCA’s comments are available on the HCCA website. The last day to submit comments to the BLM was November 1.